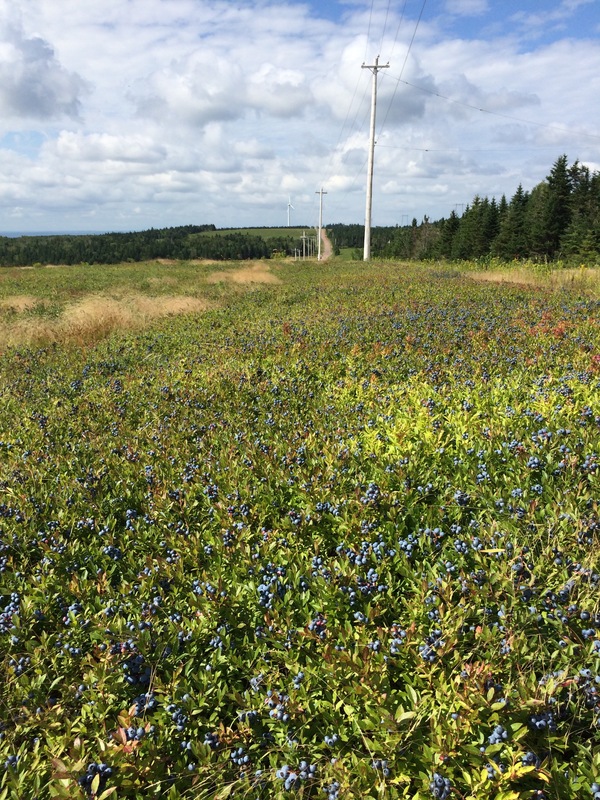 My family owns a few wild blueberry fields in Cumberland County, Nova Scotia. Every year around this time, the blueberry harvest begins and it’s like a siren call luring me home. I take a week off work each year to make the trip from Saint John to help my parents out with the harvest. 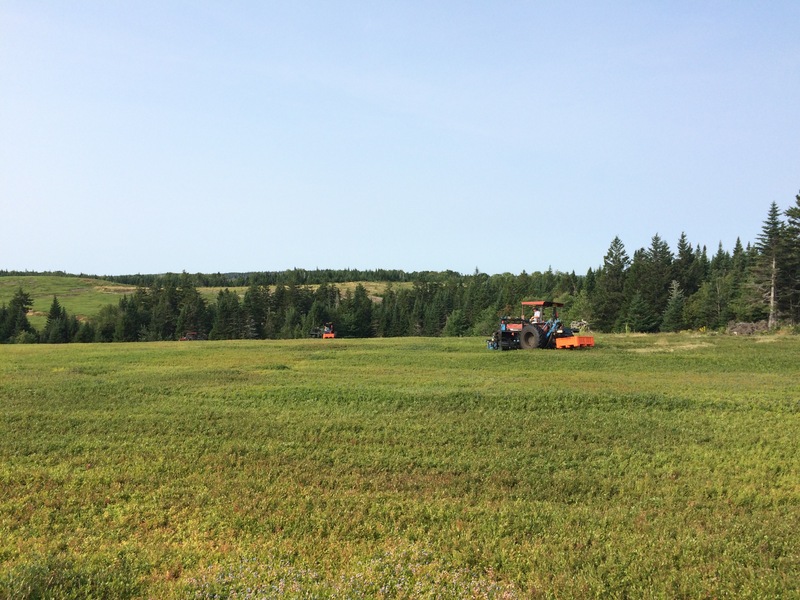 Most blueberries are harvested now using large tractors with special attachments but some fields aren’t conducive to this method or have sections that the tractors can’t get to. So me, my parents, my siblings, the older grand-kids and anyone else who wants to earn a few extra bucks and give themselves a backache, head to the fields to handpick a path for the tractors and anywhere else that my father, aka the Blueberry Warden, deems fit. 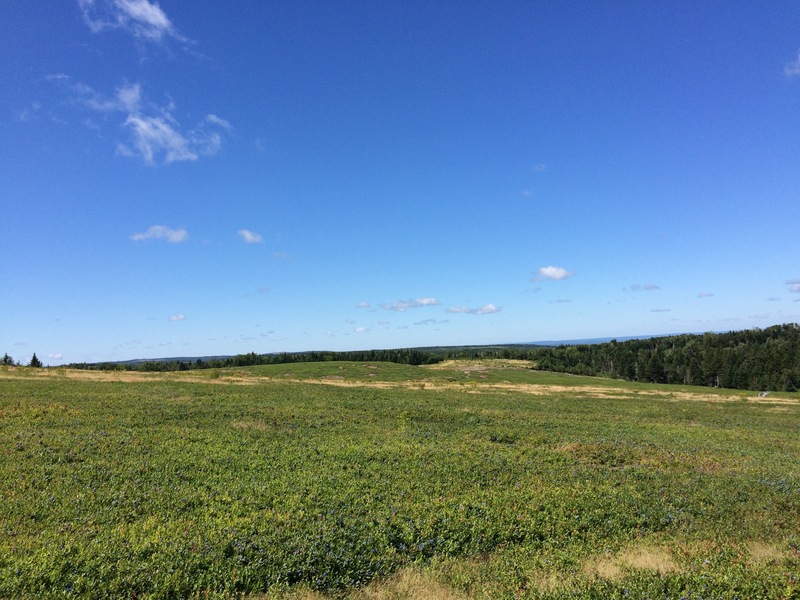 At one time, blueberry fields would be completely handpicked. Bus loads of workers would wearily make their way to the fields each morning, straining away all day in the hot sun, doing this incredibly physical work everyday for 3 or 4 weeks. You got paid by the bucket; depending on how good the berries were you would probably get $1.25 or $1.50 a bucket in my childhood. Not many people want to work so hard for so little reward these days and the harvesters do the work much faster so the days of handpicking are pretty much over, at least in Cumberland County. And it is backbreaking work, let me assure you. For those of you that have never had the distinct “pleasure” of handpicking wild blueberries, let me paint you a picture: you spend your entire day bent over in the late August heat, with blueberry vines scratching at your legs while you heave away at those loathsome blue bastards using your metal-teethed torture device (that you are likely to stab yourself with at least once by the end of the week). You will come to hate those devil-spawn berries, probably by the end of the first day. It will hurt to bend over; it will hurt to stand up. You will see blueberries when you close your eyes at night. They will stain all your clothes and your hands. And don’t even get me started on blueberry spiders – I live in fear of those monsters. But the thing is, despite all the hard work, I have a lot of fond memories of picking blueberries. Memories of childhood summers spent running around Papa’s blueberry fields and well deserved afternoon treats of ice-cold Popsicles. Stuffing your face with blueberries, straight off the vine and warmed by the sun, until Papa yells at you to “stop eating all my profits!”. These days, the harvest is one of the few times a year my whole family gets together. It’s a reunion and it’s a time to catch up. My maternal grandmother picked blueberries well into her 60’s and when she finally had to stop, she found she really missed the social aspect of it. You’ve got lots of time to chat in the blueberry field. It’s also a time to celebrate the end of summer and reset ourselves for the start of a new season. To this day, every blueberry harvest season makes me feel like I’m going back to school. 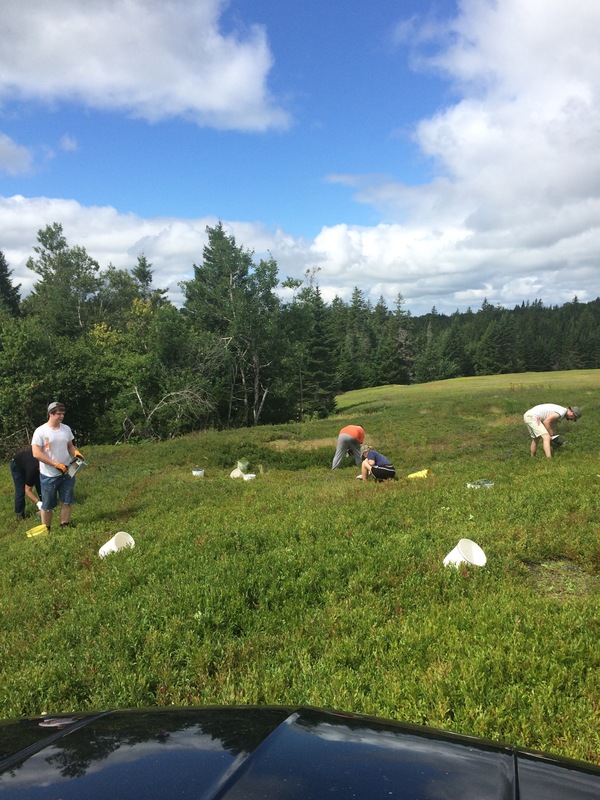 And there are benefits to your family owning blueberry fields: all the blueberries you can eat. I love a bowl of them with milk and a little bit of sugar. There will come a time, perhaps soon, when we will no longer get together for the blueberry harvest. We’re all getting older, it’s harder on our bodies. 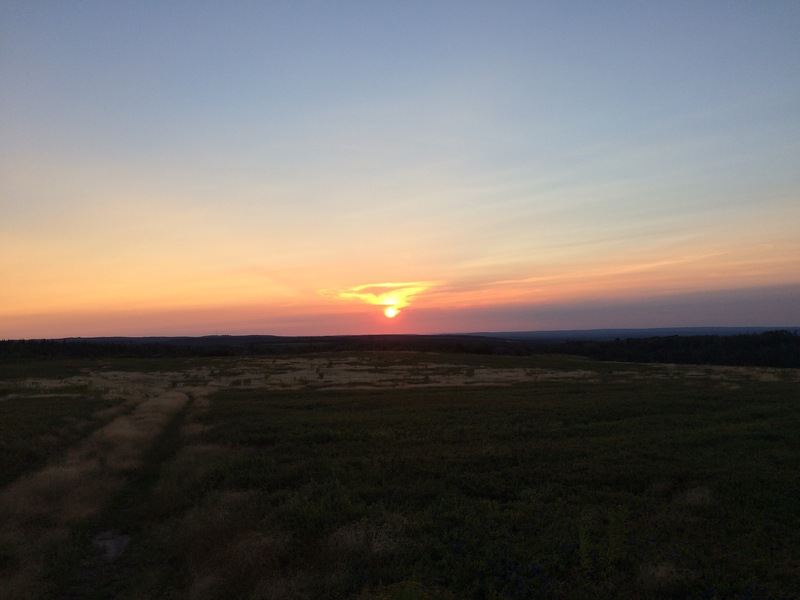 We won’t converge on this lonely hilltop for a week in late August to share in the experience of hard work and a job well done. We won’t tease my father for being a slave driver and each other about who picked more. And as strange as it might be to some, I will probably miss it. Because nothing bonds a family quite like a common goal. And this year was particularly sweet, as we had another reason to celebrate – my father’s 60th birthday. The celebration brought family and friends together for an incredible feast and was a wonderful way to end our visit and another successful blueberry harvest season. Well said yet again my dear! I too have such fond memories of my childhood and blueberry season and they come flooding back every year at this time. 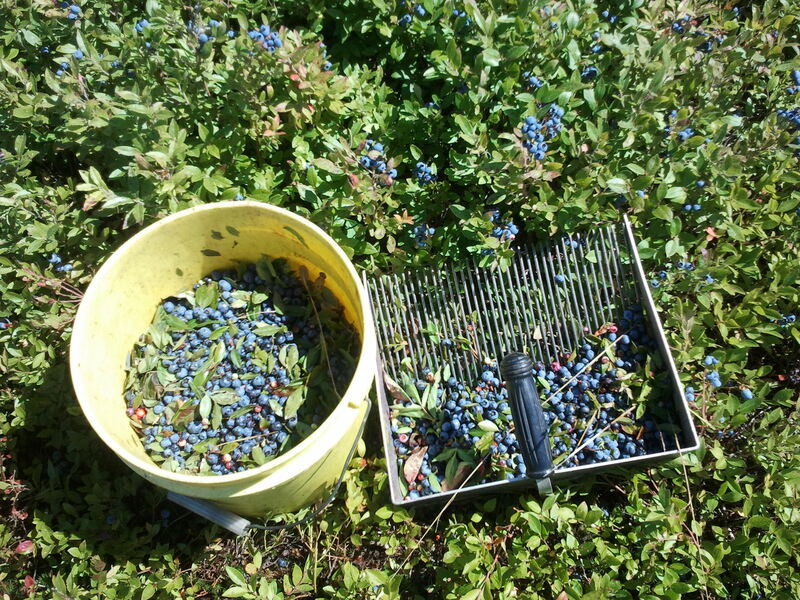 The harvest reminds me of my grandfather, father, and now my brother who chose to carry on the legacy of the Blueberry Warden…he does come by it honestly. I also remember the stories my Gram Webb would tell us of her childhood and important events in Westchester Mountain history…I hung on every word. 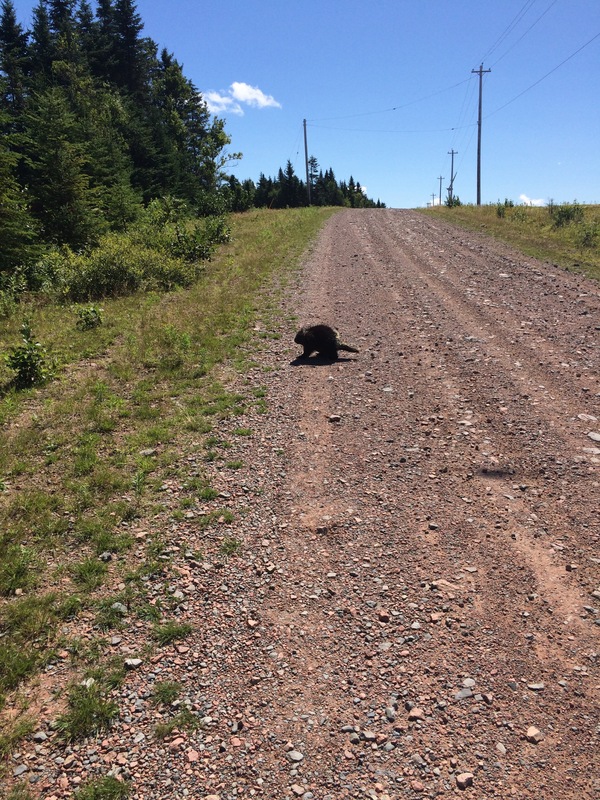 PS – the dreaded blueberry spider may be my earliest recollection of deep seated arachnophobia…yuk! Thanks Melissa for that stroll down memory lane. It sure brought back a lot of memories of the summers I spent there too!! What powerful images you paint with your words, Melissa. Almost like being there to read your post…and can almost feel the heat of the day, the strain on the body, can almost hear the chatter of family and friends and sense the peace of mind as you fall asleep after a hard day – almost. But I guess you’d have to be there to really know…as you do.